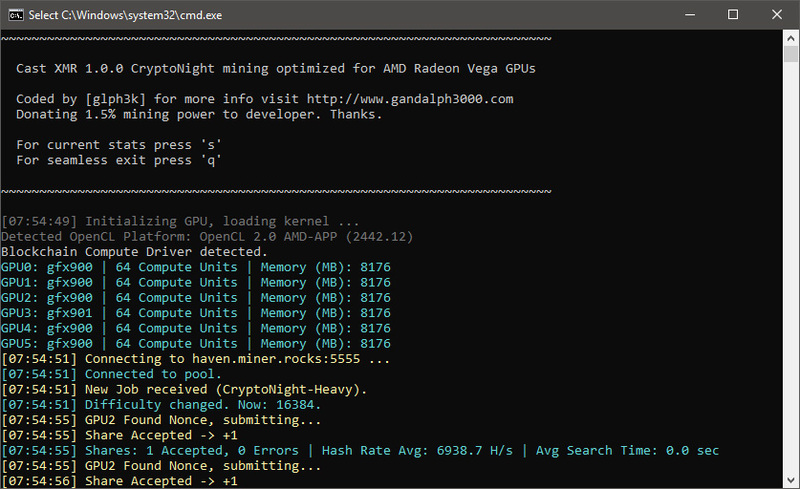 Our favorite AMD Radeon RX VEGA GPU miner for Cryptonight has been updated to version 1.0.0 and the new version brings support for new variations of the algorithm as well as some additional performance improvements. Prior to the latest version Cast XMR had support for CryptoNight, CryptoNight V7 and CryptoNight Heavy, the latest version also adds support for CryptoNight Lite, CryptoNightV7 Lite and CryptoNight Lite IPBC, so you are covered with pretty much all variations. There is also a new command line option --maxmem that can increase performance up to 3% by allocating the full memory of the video card, so you can experiment with that as well. We are reminding you that Cast XMR is a closed source miner available only for Windows (64-bit) and that there is 1.5% developer fee included to support the further development of the software, so if you are not Ok with any of these you can go for an alternative miner solution. 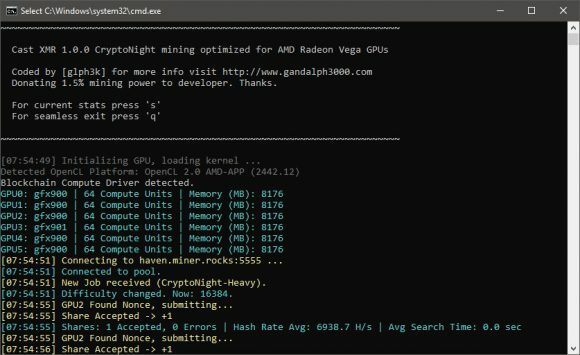 Cast XMR is still one of the fastest VEGA miners and the development track record justifies the dev fee in our opinion and you can of course also use the miner on other ADM Radeon RX GPUs with at least 4GB video memory.